Alexa, the voice assistant which can be found inside the Amazon Echo and Amazon Echo Dot, has quickly grown to be one of our favourite smart assistants, beating out the likes of Google’s Assistant and Apple’s Siri. Part of this has to do with Alexa’s ever-growing list of ‘skills’, which act as the equivalent of apps for the device. Now a classic MMORPG series is coming to the device in the form of Runescape, which you might remember as the free browser-based RPG. In its new iteration the Jagex-developed game, called Runescape Quests: One Piercing Note, will be an audio adventure which is apparently based on a single quest from the original game. This isn’t the first audio adventure to come to the device. A previous game, called The Magic Door, is an interactive adventure that you control with your voice. The game is structured like a traditional text-based RPG, where you give instructions as to how to proceed based on descriptions on your environment. A series with the history of Runescape has the potential to provide a rich gameplay experience, but at present Amazon does not allow developers to charge for skills on its app store. This may change in the future as skills become more mainstream, but for now at least Alexa's Runescape game will act as a promotional item only, rather than a product in its own right. 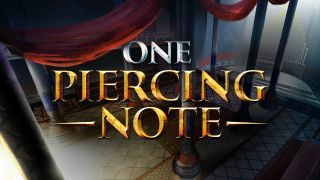 Runescape Quests: One Piercing Note is available from today.